Diptyque held a special event in conjunction with not-for-profit organization, Bottomless Closet. Bottomless Closet was established in 1999 for women who are trying to make their way in the work force, but may not have the income to afford business attire. The organization accepts suits, accessories, and even more casual work wear to give these women the opportunity to prove themselves in a working environment. But it doesn't stop at clothing. At Bottomless Closet they provide workshops on resume writing, interview preparation, business etiquette once they have a job, and even financial management once they start receiving a paycheck. The main goal here is to make these women self-sufficient, not just to send them a suit and let them fend for themselves. At the Diptyque event guests brought accessories with them (and Lord knows that I have accessories) to donate. Also, a portion of the proceeds that evening went to Bottomless Closet. There was a raffle for a free candle, which I won! 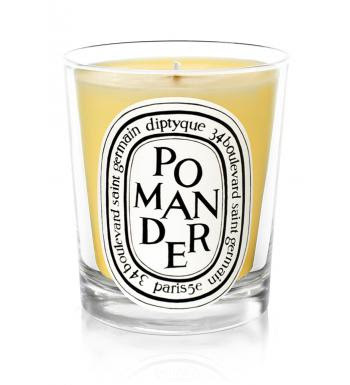 I chose Pomander...a delicious and spicy scent for the home. 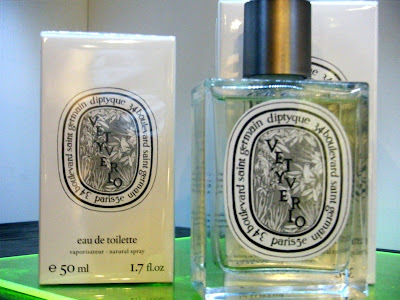 Another fragrance I came to know that evening was Vetyverio, a multi-layered fragrance that surprised me. I've been wearing the same fragrance for years, and for the first time ever honestly thought about making a switch. The first thing I smelled was grapefruit (that's a "top note" for those that are fragrance-impaired), but then there were spicy and floral-y layers that lasted for hours. Did you know John Galliano had an essence? Of course you did. 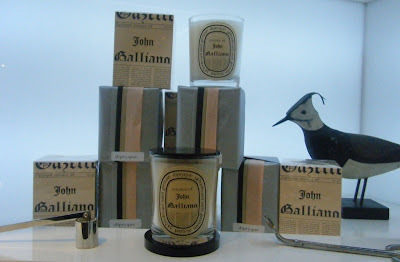 While I can't guarantee these candles will bring you even one ounce of Galliano's creativity or business savvy, I can tell you that they smell good. 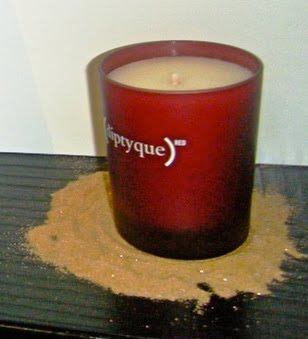 If you're feeling particularly giving, why not donate to Bottomless Closet AND buy a Diptyque Red candle? 10% of the proceeds from this vanilla rooibis scented candle are donated to the Global Fund, which provides medicine to Africans with AIDS. There are many ways that you can help Bottomless Closet including clothing donations, monetary donations, and if you live in NYC, you can actually donate your time to these women. To find out more, check out www.bottomlessclosetnyc.org.